Early training ride yesterday morning. 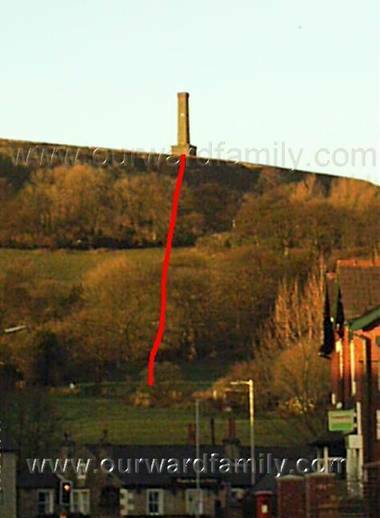 Up the road, 14 ish miles uphill to Holcombe Village then run straight up the front of Holcombe Hill to the tower, bike on shoulder. I’ve found a really tough, almost vertical footpath that fits the bill nicely. It’s much nicer than the weed-infested grassy slope I’ve been training on near my house anyway. I adjusted the position of the bike on my shoulder slightly this morning and that was much more comfortable. In the next few weeks I’ll be working on bringing down the time of the whole loop to less than this morning’s 1:44, although that was into a headwind and I had a minor mechanical…. Before I started my return journey I noticed that my headset was loose. On closer inspection, the top cap bolt has stripped somehow so I had to just press down on the stem and tighten it to the steerer, then take it easy on the descent down the hill. Tonight I think I’ll bin the Hope Head Doctor and fit a good old SFN. Blimey (dude)…what time are you getting up for your training sessions? that’s not too early. I only live 10 mins from work, remember.